We're currently putting Apple's latest "skinny" iMac through its paces here in New York, but an eager Japanese customer has already popped open the 21.5-inch desktop's case, revealing a serviceable hard drive, removable logic board and even a bit of room to spare in the tapered silver housing. 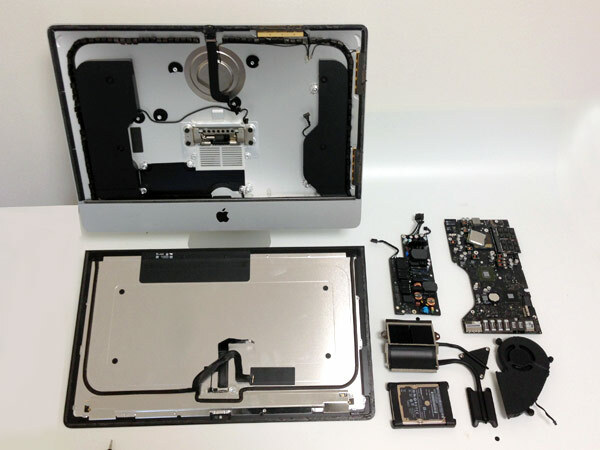 There's not much in the way of details over at Kodawarisan, a scant Japanese-language site, but there are plenty of interior pics to gawk at, tiding us over until the experts at iFixit manage to dissect an iMac of their own. Head on over to the source link below for a dozen or so undressed snaps of Cupertino's latest creation.